We have some exciting changes happening to the Geordie Jackpot! From Saturday 7th July 2018, all tickets will now have a 1 in 50 chance to win a cash prize. The same amount of money (50%) will still go toward funding new initiatives across Newcastle, but we’ve made it even easier for players to win a cash prize. You’ll find answers to most questions below, but if you would like to find out more, please contact our support team. Why is the prize structure changing? We are always looking for ways to make the Geordie Jackpot even better for the players and causes we support. 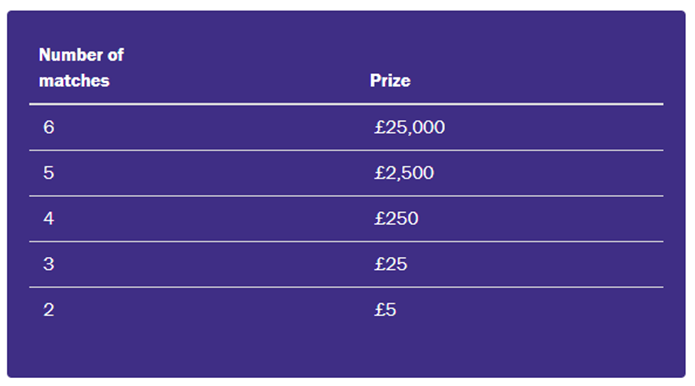 This exciting change to the prize structure will mean that more people will have a chance to win a prize each week. There will now be a 1 in 50 chance of winning a prize when you enter into a draw. Will the cost of tickets increase? Match all 6 numbers in the correct order to win the £25,000 jackpot! What are the odds of me winning? 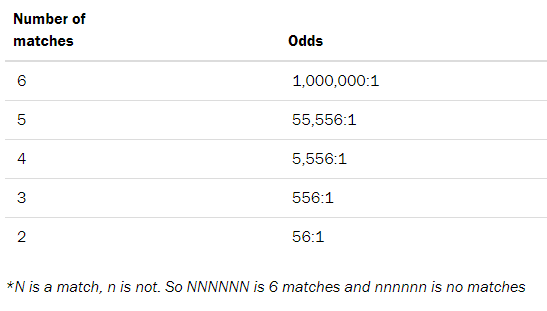 The probabilities of winning a prize are outlined below. The chances of winning the £25,000 jackpot is 1 in a million (compared to 1 in 45 million for the National Lottery). You don’t need to take any action. All tickets entered into draws from Saturday 7th July will automatically be included under the new prize structure. If you play via direct debit, the payments will continue in exactly the same way. All winners will be notified via email. We’ll also publish the winning number on the website each week. Winnings will be paid directly into your nominated bank account or you can choose to donate your winning back to Newcastle NE1 Ltd.
Where can I find more information about how the lottery works? You can find lots of information on our website including game rules and terms of play. Who can I contact if I have further questions about the new changes? You can email the team at [email protected] or give us a call on 01916 03 06 03. Geordie Jackpot Announces Its Latest Cash Award!